Neural network. Digitally enhanced 3D computed tomography (CT) scan of interconnected nerve cells, or neurons. Neurons are responsible for passing information around the central nervous system (CNS) and from the CNS to the rest of the body. 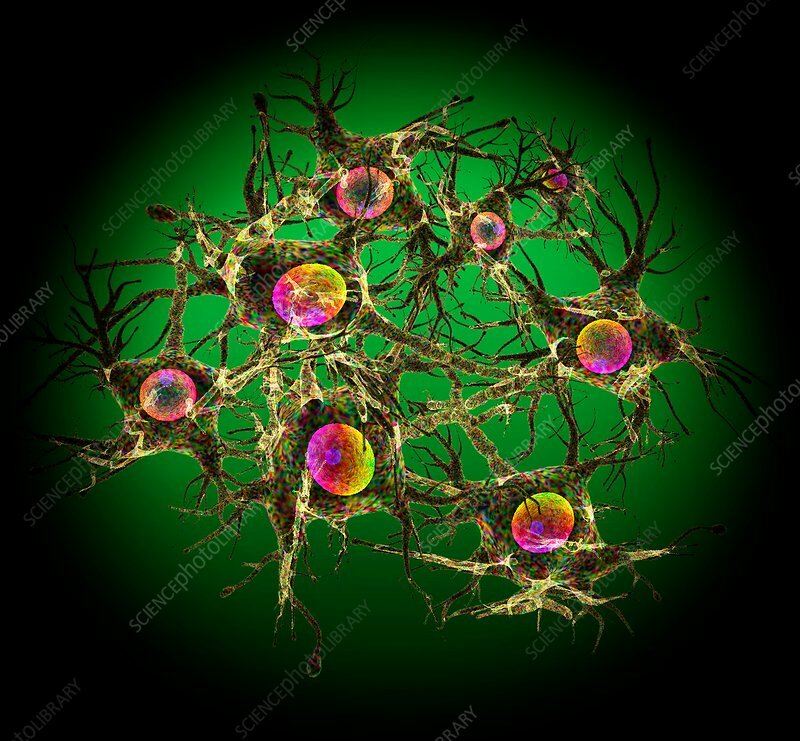 Each nerve cell comprises a body surrounded by numerous extensions called dendrites. Dendrites collect information from other nerve cells or from sensory cells. Each neuron also has one process called an axon, which passes information to other nerve cells, or to effector cells such as muscle fibres.